Homeschool record keeping often feels like one task too many for a busy Mom! 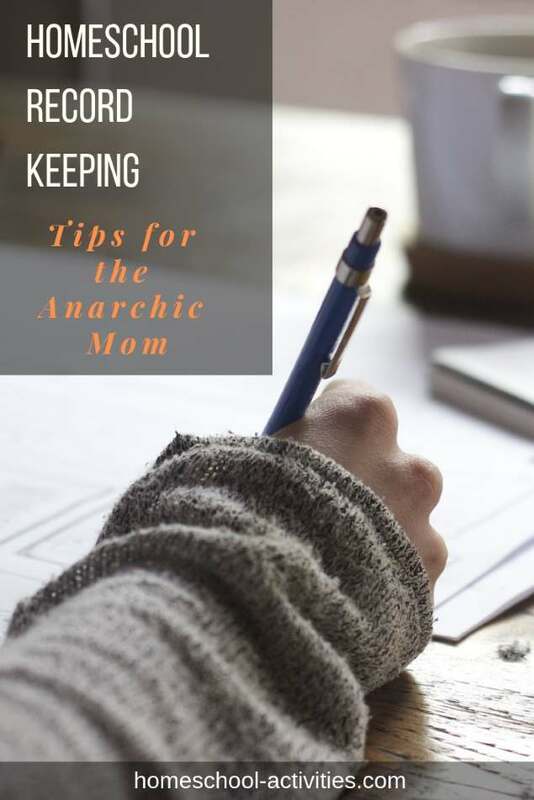 I asked fellow homeschoolers to come up with some tips so you have the comfort of knowing you have something to show if that dreaded knock on the door ever comes. Okay so time to 'fess up. 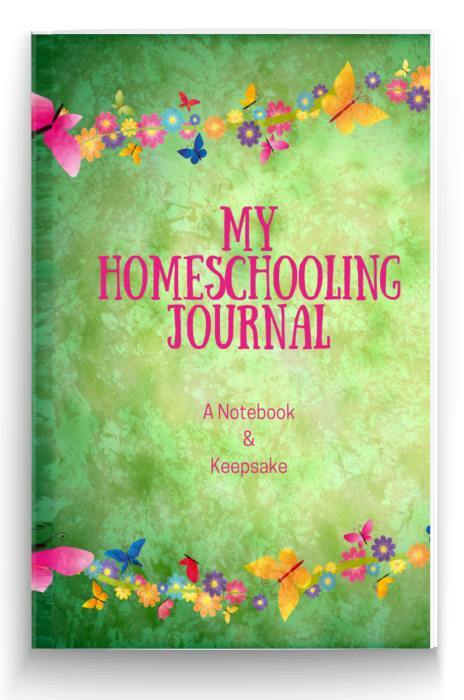 I am not the most organized of people and I never ran my homeschool in a highly structured and 'gleaming' kind-of way. 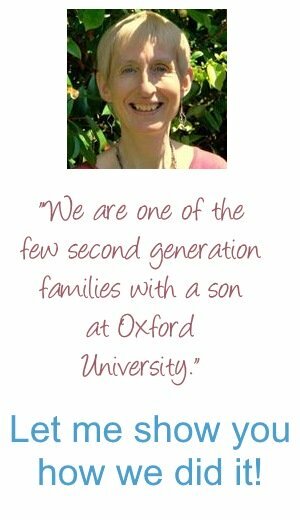 My son, who is now at Oxford University, was largely unschooled until mid High School age. My daughter is an artist. So when it comes to homeschool record keeping, I was never a Mom who could show you neat files of printed out attainment records linked to grade levels. That's not to dis those of you who ARE keeping perfect records. 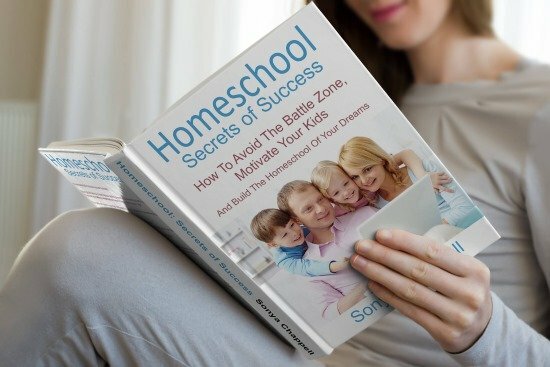 We all homeschool differently to suit ourselves and our children best which is exactly right - and also we have different state and country laws to contend with. What I want to help with is some tips which are easy to do and don't take too much time. Importantly, they will give you the comfort of knowing you always have something to hand to prove to someone in authority that your children are actually getting an education and learning all sorts of amazing things - many of which aren't even in a standard curriculum. It won't be only me who would wake up in the middle of the night terrified that someone would say that my children weren't getting a suitable education and haul them back off to school. I'll start with how I did it. You'll find it gives you the armor you need whenever you meet teacher friends. And it's delightfully anarchic and undemanding! I took some paper and wrote a few headings on it. I do wish I could say I had a dedicated attendance book with lines, dates and columns on it - but actually any old bit of paper worked for me. I'd stick some obvious headings on it like Math, Science and English. 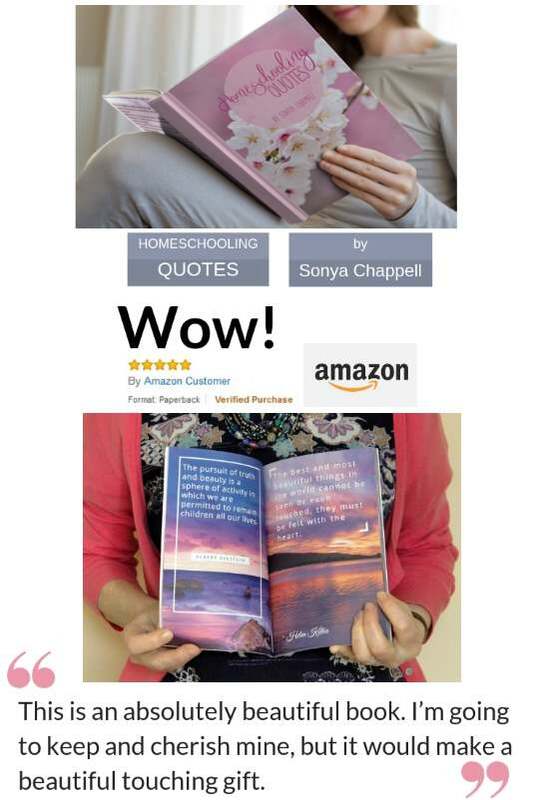 I'd then add some more headings like The Natural World, Imagination and Understanding The World which are often that wonderful 'extra value' that only homeschooling offers your child. They give you the ammunition you need to argue how much more your child is benefiting from being taught at home. Then, either every day for two minutes - or if I didn't have time and forgot - at the end of the week for 10 minutes I wrote down very briefly the stuff under those headings which count. I know in the US attendance records are very important; it probably takes less than a minute to add some dates to those notes. So for 10 minutes per week I had the basis for a homeschool report which I could use for any eventuality. Easy tip two: use an e-mail. 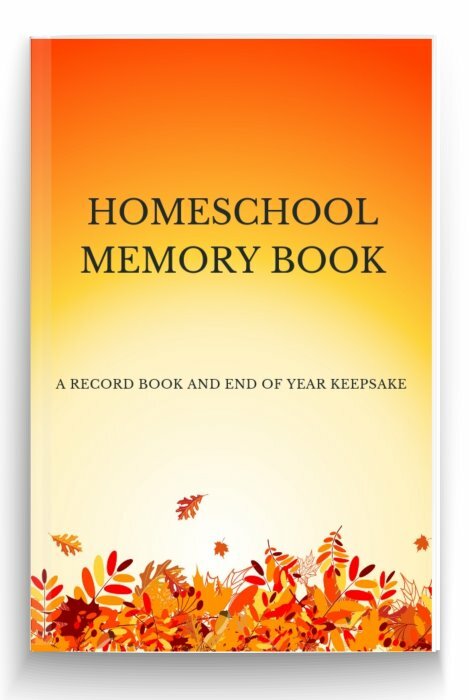 Sheila has a method for homeschool record keeping which might suit you even better. "I keep a draft Email in my Email box and every time we do something new I put a sentence down, save it and add to it throughout the week. 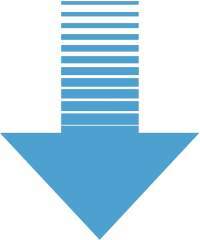 I then share add the text from the draft Email to a weekly blog post." What Other Records Do You Keep? You don't have to do much with them. But you can show them as evidence if you need to. And more importantly they are lovely to look back on. "Because we unschool there isn’t really a lot of written work so we just store it in a folder but I take photos of all the activities we do and store them into a file and add them to a memory stick." At which point you will have to allow me to digress. 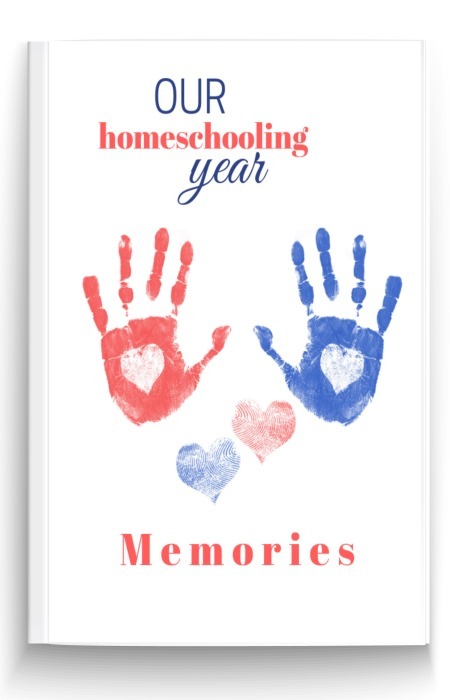 Because although you start homeschool record keeping so you can keep your family safe and stop the wolves circling, by the time you reach my stage with your children now young adults you wish you had thought about something more important. Photos are records of educational achievements; they are also priceless. 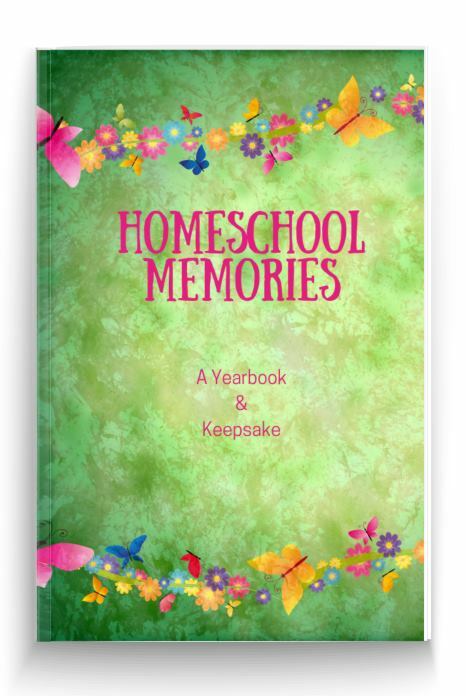 Homeschooling is the most precious time you will ever spend with your child and having a Memory Book gives you something beautiful to hold in your hands so you can remember the little things which made your time so special. 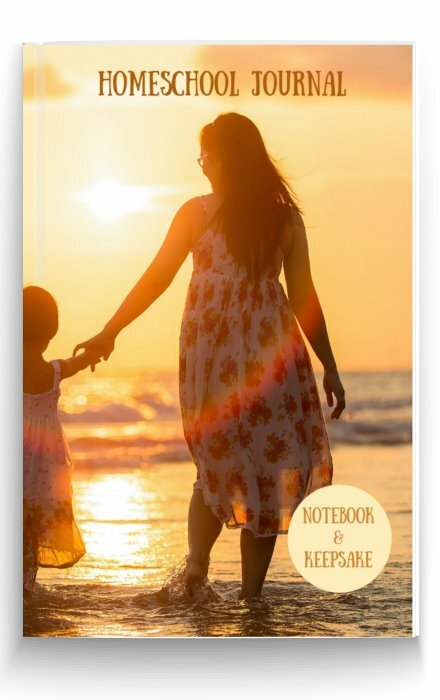 That's why I have made you a Memory Book with over 40 prompts to remind you to write down the things that aren't always obvious - like adventures you have been on, treasures you collected from the seashore, what you did on rainy days. Those are the little details which memories are made of but are so easily lost in the fog of time. Set up a BLOG. 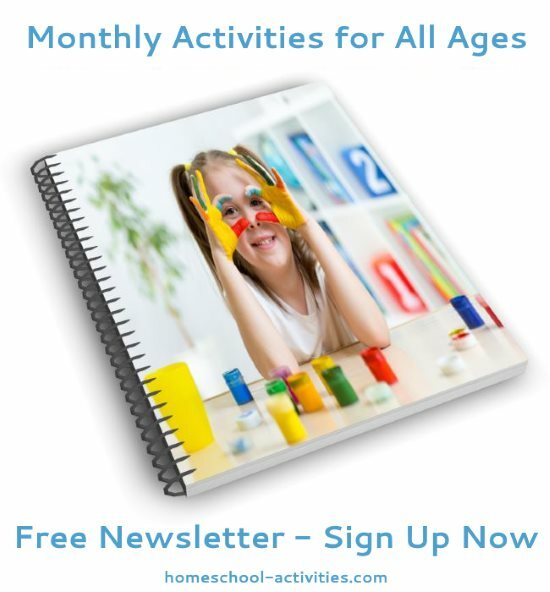 It is more time consuming but it can be fun for both you and your child and give you both a sense of achievement. "At the end of the week I put all the photos into a slideshow and add a soundtrack. I then share the video link on my daughter's blog and add the text from the draft Email to a weekly blog post. It means that IF the education authority want evidence of learning all our evidence for learning is there." A similar idea is to set up a Facebook page or a private group on Facebook. "I honestly (and stressfully) don’t have much of a system. Last year was our first year of homeschooling and for our review I just brought an attendance record and their binders of all completed work. I did create a private FB group for my husband and I to document photos and lessons. So far, it’s worked well." Use Excel. 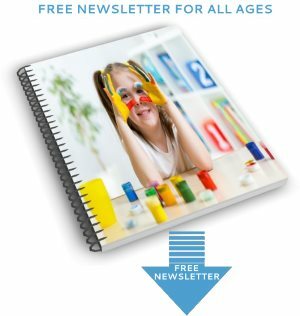 This is perhaps slightly more 'advanced', but some of our members find Excel really useful for homeschool record keeping, especially when it comes to attendance records and grade keeping. "For those who need to show scores and marks for grades successfully passed, I made an Excel spreadsheet for grade and subjects, and at the end of each term I add the percentages." "I've always just kept examples of my son's work in a binder. I don't have to, I don't have to do anything at all, except keep track of attendance, which I never have to turn in to anyone. But just in case, I do keep an Excel file with attendance records." "My girls (11 and 12) write up a 'Daddy report' each week where they report what they've done to him. It usually doesn't cover the academic stuff so much though! We also have weekly checklists where they tick off what they've worked on each day. We've had variants of these as we've been more and less unschooly and formal over the years." "(I make an Excel spreadsheet of grades and subjects) and I have a book where I write down all the marks for each test the kids write. I save and make a printout of the report card to keep close by if ever I should need it. I save all extra work done for the year in flip files for each kid, as well as drawings, posters etc. On the pc I have folders for each grade, with sub folders for subjects and exam papers and tests and so on and all workbooks and resources the kids used throughout the year. 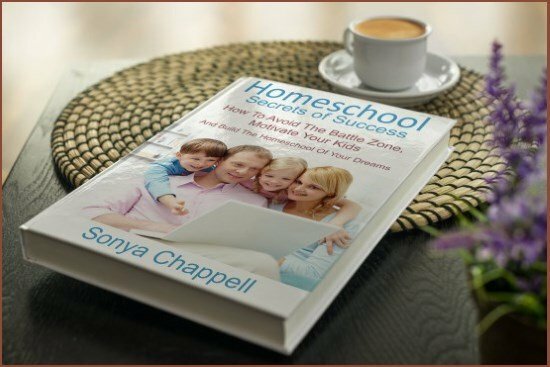 We are some of those who use formal homeschool record keeping and this works for me." "I am very old school and methodical. I have a big folder with dividers that are labelled as the different subjects and that's where I file things during the year as I go. When my moderator comes I have a document that is divided up into 3 different sections, what is covered during the year, what activities were done and what resources we've used - for every subject. Once that year is done I store all my son's work in a big plastic storage box and then reuse my big portfolio folder for another year. I also take photos on my phone and upload them on the computer." You will know what suits you best and also what the laws are where you live. Even for those of us who unschool, it can be useful to have a proper 'book' to write things in with useful headings. "I just bought a record book which has categories (such as math, life skills, etc,) though I have altered some we don't use to new categories - to be things such as 'reasoning and thinking skills',' fun, family, friends, and social', 'music' , etc. I am able to include nature shows, hill walking, art, projects, snow play, cooking, etc, and I feel we do so much 'learning' now! Well, I knew we did, lol, but if I ever need a report to be done, the info is here!" Danielle has one more tip which I think is great for all of us, though it doesn't have much to do with record keeping! "Our favorite way to open our school day is with knock knock jokes out of a book." 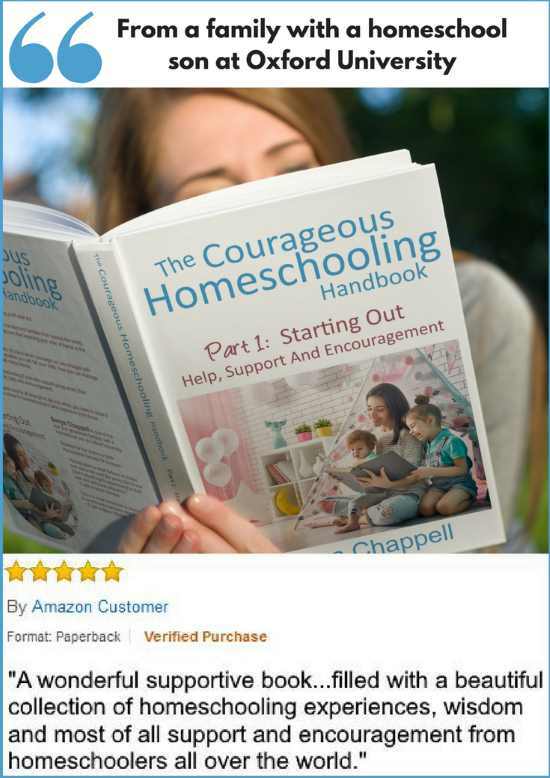 And of course if you want more help, ideas and encouragement come and join us in the Courageous Homeschooling Facebook support group. My advice is at some point in the year (when you are feeling time rich!) it's a very good idea to set aside three full days to collect together whatever notes, bits of paper, e-mails, photos, videos, blog posts etc you have and type up an ANNUAL REPORT. The word REPORT always sounds so impressive and things always look better typed! This is where you put your teacher hat on. You turn everything you've got into educationalise. It's not as hard as it sounds. English becomes a heading which includes communication, language and literacy. Sounds better already. When you look at your notes for Understanding the World, you think of them in subject terms. So a field trip to the Zoo involves natural history, ecology, geography (learning about where the animals come from) and possibly numeracy (counting the animals). And you start your Report with something you can copy and paste for every Report you write hereafter. 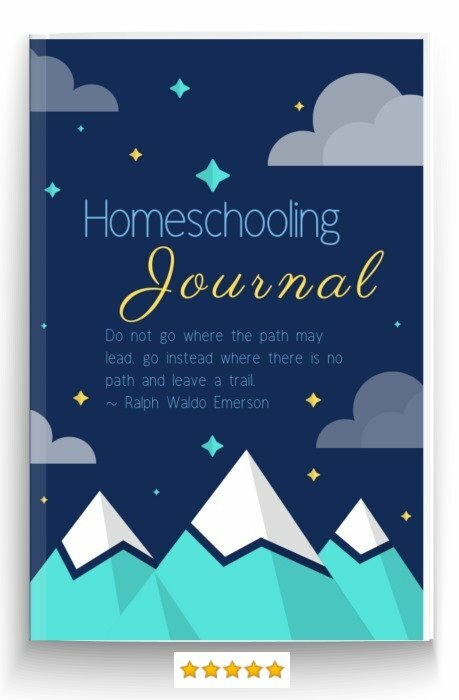 I don't care if someone else feels it's irrelevant; I think it's a great idea to start your report by citing the basic evidence that homeschooling works. Part of our job is about educating the educators! How do you write a perfect Report if, like both my children, your child is lagging behind in some of the main areas of the curricula? That's a real worry because you don't want some expert coming in and telling you that you are failing your child. 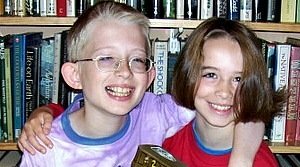 William couldn't write until High School age; Catherine didn't read until she was 8 and a half. With William now accepted by one of the best Universities in the world you can hardly say they were held back! But that's not what it feels like at the time; you - the teacher and parent - are very vulnerable. Luckily, you know in your heart that all children learn at different rates and at different times. And you also know that one of the great benefits of homeschooling is not having to force your child to keep up. I don't mean you lie or pretend that your child has done things they haven't or can do things they can't. I just mean you write your Report in the most positive way possible. Teachers know only too well that the truth can often be stretched to include educational activities which sound a lot more important than they really are! And you provide evidence of all the things you have done to encourage learning. You show them the 'learning resources' you have provided - books, internet access etc. And you point out all the improvements they have made over the year, however small. You can tell them that these 'techniques' have had limited success. What Would Make Report Writing Easier? Now I have finished homeschooling I reckon there is something that would have helped. Having a dedicated book that I could write things down in! I also wanted you to have something you could turn to whenever those doubts creep in that you're not doing enough. 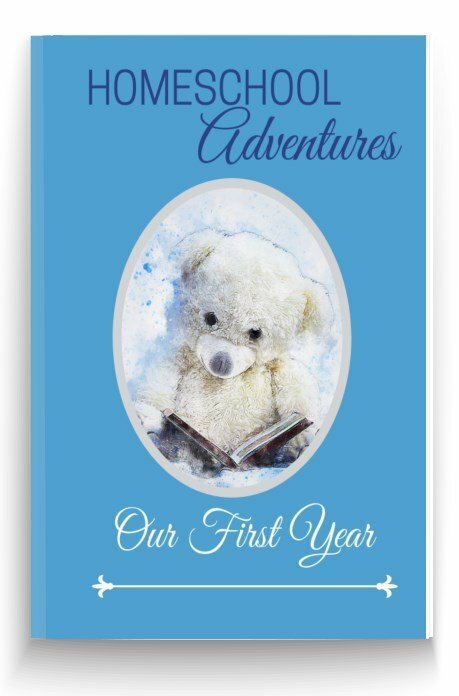 So I have made you a journal where you can write down things as you go along. There's a place to add the date and 100 lined pages to help you keep track of all the things you're doing. 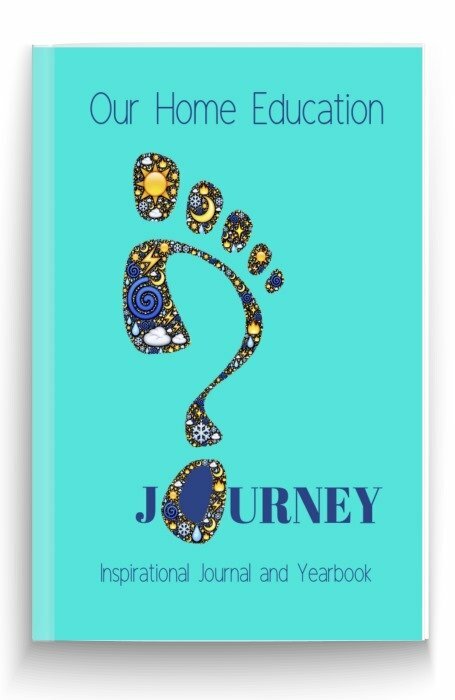 And there are also inspirational quotes, affirmations and floral designs so whenever you pick your journal up it gives you strength and courage and reminds you what a fabulous job you are doing. 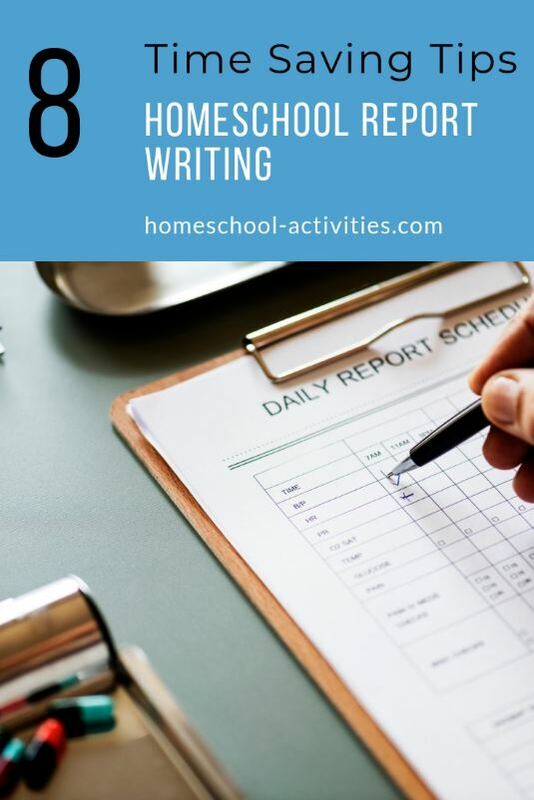 These ideas for homeschool record keeping show that you can follow simple and time saving ways to make your job much easier. And at the end of the year you will be proud of all you have achieved.